Once a year the San Juan Community Library hosts a super fun cocktail event for fundraising in order to keep the life of books alive. This little community library is home to thousands of books and a digital library . Many dedicated professional teachers and volunteers also host a variety of fun programs for kids, teens, and adults including story hour, music lessons, arts and crafts. 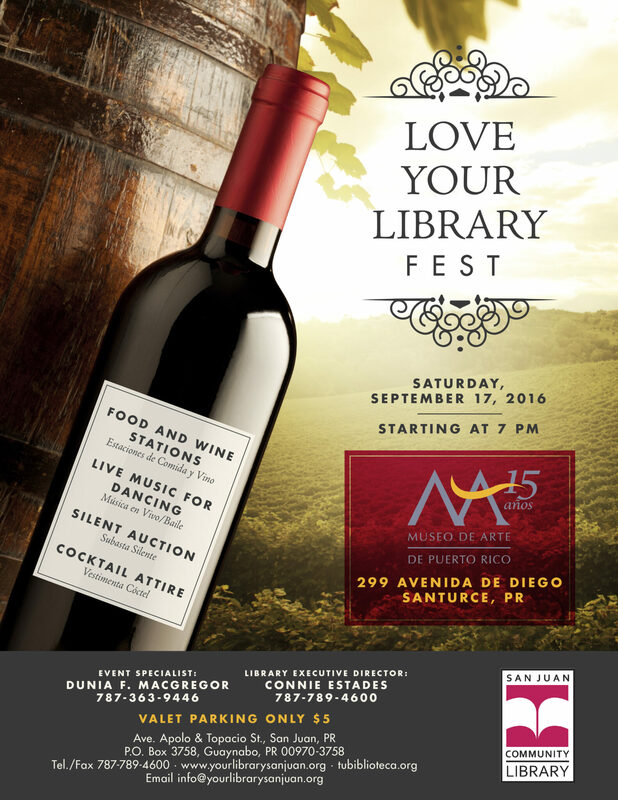 This September 17th you can join the fun at the Museum of Art Santurce for a small donation of $85.00, or whatever your means provides at the time. There will be food and wine stations, Live music for dancing, and a silent auction with various awesome prizes.